Pursue your musical passion. Cultivate your creativity. Share your music. 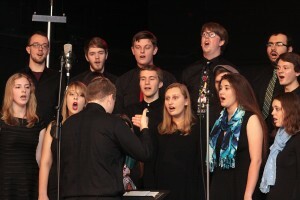 Cultivate your passion for singing, playing and performing in MSOE’s recreational Music Program. A non-academic opportunity offered through Student Life, the Music Program provides students with a positive and engaging distraction from the stresses of the classroom. There are no lab fees, auditions, or specific entrance requirements. Just bring your passion for music! All ensembles hold one 90 minute rehearsal per week in the Kern Center. 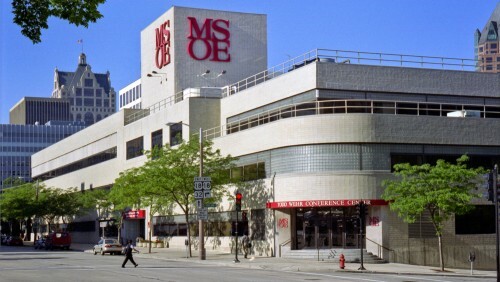 Rehearsal schedules are posted on the MSOE Music Program Facebook page. While you're there, like our Facebook page so you don't miss out on any important program announcements! Students have a variety of opportunities to share their music with the MSOE community and beyond. 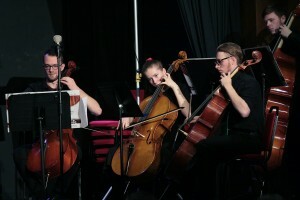 The Music Program hosts two feature performances – the Winter and Spring Concerts – in MSOE’s Todd Wehr Auditorium. Additionally, ensembles perform at MSOE athletic competitions, local parades and for a variety of other campus and community events. Students currently enrolled at MSOE may register for any of our current music ensembles by completing the Music Program Registration Form found in the Campus Life section of MyMSOE (login required). Please contact the Music Program Coordinator, David Collins, at collins@msoe.edu if you have further questions about the program. Check out the official Facebook page for information on upcoming events, specials notes and more.